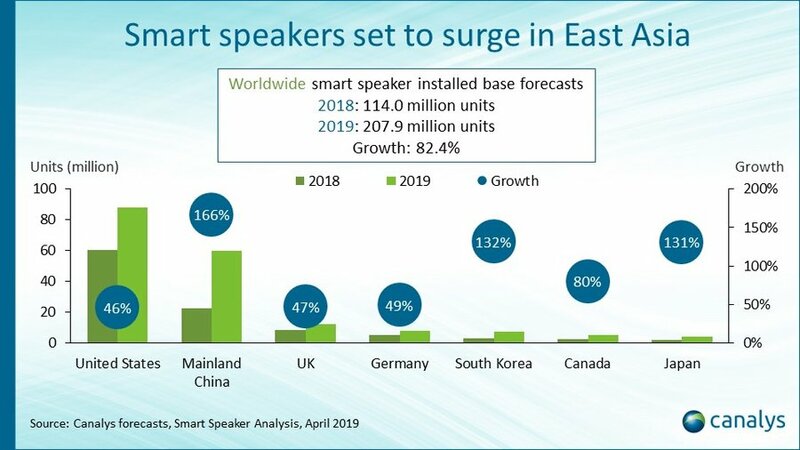 Palo Alto, Shanghai, Singapore and Reading (UK) – Monday, 15 April 2019 – ### Canalys forecasts the worldwide smart speaker installed base will grow 82.4% from114.0 million units in 2018 to 207.9 million in 2019. 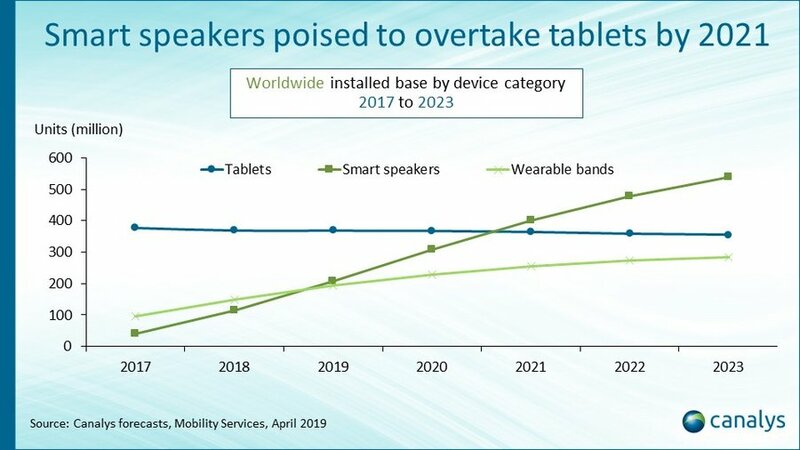 The US is expected to maintain its lead in terms of smart speaker adoption, accounting for 42.2% of the global smart speaker installed base by the end of the year. 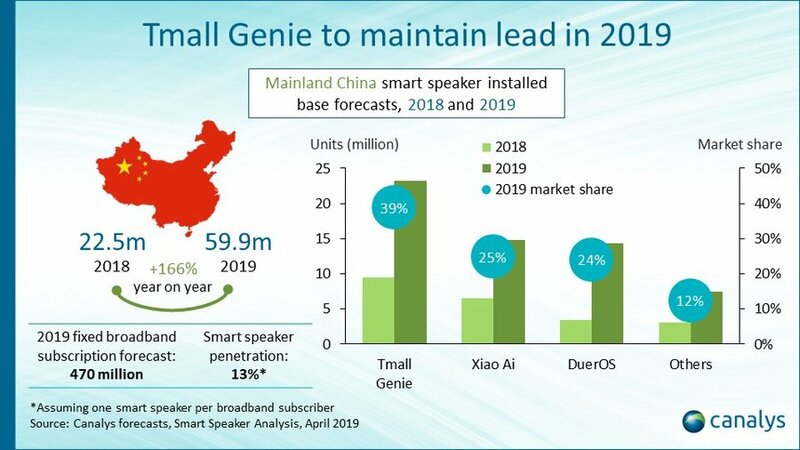 The East Asian markets stood out, particularly China, as these countries present larger growth opportunities due to the sheer number of middle-class households and a working population willing to embrace new technology. The Chinese market is one of the world’s most competitive, yet Google and Amazon have no presence there.